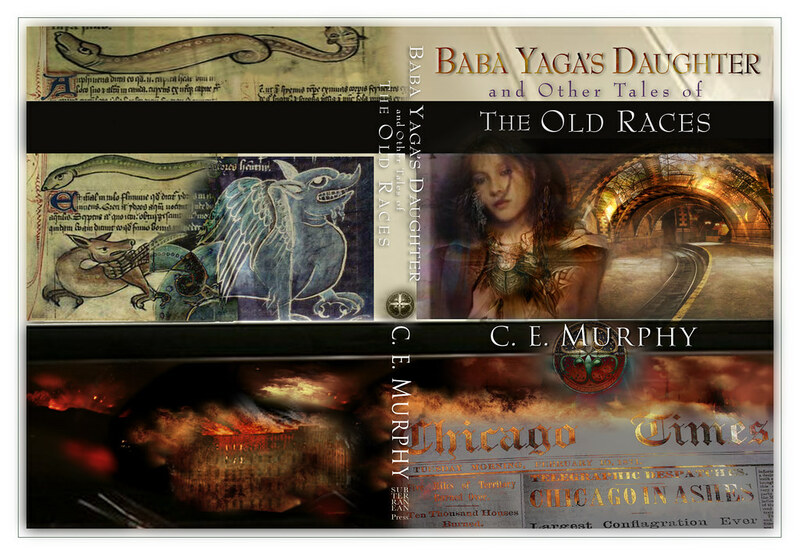 Cover Reveal: BABA YAGA’S DAUGHTER! Ancient rivals, best of friends, worst of enemies: dragonlord Janx and master vampire Eliseo Daisani are the threads upon which a tapestry of lives and loves are woven across the centuries. From the coldest Russian nights to the heat of Chicago’s greatest fire, nothing brings the immortal adversaries together–or tears them apart–like a woman. And there is always a woman. Vanessa Grey has been at Daisani’s side for decades, but the secrets borne by a witch may be her undoing. Baba Yaga’s daughter has plots that are decades in the hatching, but they may only succeed if Margrit Knight, named “the Negotiator” by Daisani and Janx themselves, will work with her. And there are others: the greatest vampire hunter mankind has ever known, and a woman for whom the Old Races are a wonder to walk away from. Revisit C.E. 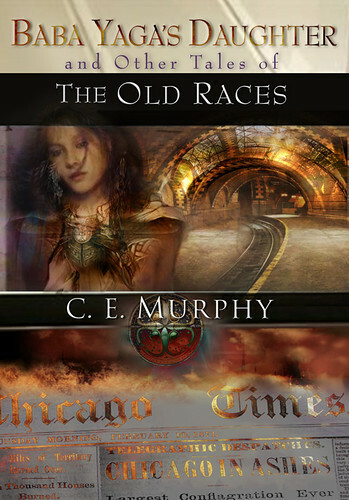 Murphy’s world of the Old Races with eight stories that delve into the past and future of the two most beloved characters from her urban fantasy trilogy The Negotiator! ZOMG ZOMG ZOMG *SQUEE*! THOMAS CANTY COVER! SO PRETTY! SO EXCITED!!! ZOMG EEEEEEEE! BABA YAGA’S DAUGHTER should be be available for pre-order later this month (or early in February) so I’ll be doing this all over again then, but SQUEE! I’m really, really excited about this book. It’s going to be SO beautiful, and I’m very pleased with the stories in it, so holy beans, I hope you guys will like it too. EEEEEEEEE! V. large full cover behind the cut! Worth clicking through! I PROMISE! *waves hands in awed agitation* You have no idea, either. I mean, it reflects the book *so incredibly well*. Every element on the cover is meaningful to a story. I'm just agog. I love it so so so so so much! Whoa, what a stunning cover! That's an absolutely gorgeous cover! Congratulations! At the risk of being dense or just having missed something, are all the stories from the ORSSP going in to this volume or is there some overlap or are they completely different sets of stories? They're a completely different set of stories! This one will contain the patrons-only-published "Hot Time" novella as its anchor, "From Russia, With Love" from the FANTASY MEDLEY anthology, and the web-published "Five Card Draw" along with five other brand new stories. Did you say from @subpress? If so, good, because I am on their mailing list and I will know when it's coming. It will indeed be from Subterranean Press! SO EXCITED! Beautiful. There's no other word to describe it. It is indeed an actual book. ;) And it's going to be SO BEAUTIFUL! What a beautiful cover! Congratulations! The stories sound like fun, too.